And scroll below for news of The King’s Fund’s Digital Health and Care Congress, including Matt Hancock as keynote speaker on day 2. Plus 10% off registration for our Readers! Fortune and Kaiser Health News take down EHRs and the havoc the wreak on doctors and patients. Our weekly news roundup looks at diabetic VR training in Wessex, telemental health in Australia, GreatCall’s health ambitions–and prescribing apps is baaack! 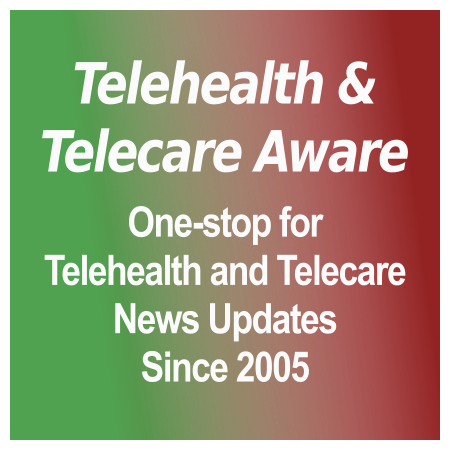 Chronic condition telehealth monitoring is suddenly hot–again. When will digital health ethics be more than talk-talk? No more faxes, no more pagers in the NHS. Surprise! Consumer behavior should drive health tech. Plus late spring events + Connected Health Summit speaking opportunities. Rounding up HIMSS and the millennial/Gen Z healthcare mindset. It’s wall-to-wall Theranos for the next few weeks. And we bid farewell to a fine (if over-parodied) actor with our video advert. EHRs: The Bridge to Nowhere–other than despair. An investigative Must Read on ‘an unholy mess’. All those dropdowns and windows? Great until you click on the wrong one and find yourself making a mistake or in the wrong record. Not even the head of the Centers for Medicare and Medicaid Services is immune. Seema Verma’s husband, a physician, collapsed in the Indianapolis airport. She couldn’t collect his records without great difficulty and piecing together. When he was discharged, he received a few papers and a CD-ROM containing some medical images, but without key medical records. A long read for lunch or the weekend. Death by a Thousand Clicks: Where Electronic Health Records Went Wrong. Also the accompanying essay by Clifton Leaf. The leaky roof of healthcare data (in)security–DARPA to the rescue? We know where you are and what you do! The precarious state of healthcare data security at facilities and with insurers, plus increased external threats from hacking has been getting noticed by Congress–when you see it in POLITICO, you know finally it’s made it into the Rotunda. It was over the horizon late last summer with the FBI alert and legislators in high dudgeon over the Community Health Systems China hack [TTA 22 Aug 14]. It’s a roof that leaks, that costs a lot to fix, doesn’t have immediate benefit (cost avoidance never does) but when it does leak it’s disastrous. This article rounds up much of what these pages have pointed out for several years, including the Ponemon Institute/IBM study from earlier this week, the Chinese/Russian connections behind Big Hacks not only for selling data, but also IP [TTA 26 Aug 14] and how decidedly easy it is to hack devices and equipment [TTA 10 May 14]. Acknowledgement that healthcare data security is about 20 years behind finance and defense deserves a ‘hooray!’, but when you realize that on average only 3 percent of HIT spend is on security when it should be a minimum of 10 percent (HIMSS) or higher…yet the choice may be better security or uncompensated patient care particularly in rural areas, what will it be for many healthcare organizations? The article also doesn’t go far enough in the devil’s dilemma–that the Federal Government with Medicare, HITECH, meaningful use, rural telehealth and programs like Medicare Shared Savings demand more and more data tracking, sharing and response mechanisms, stretching HIT 15 ways from sundown. At the cutely named Health Datapalooza presently going on in Washington DC, data sharing is It for Quality Care, or else. Yet the costs to smaller healthcare providers to prevent that ER readmission scenario through new care models such as PCMHs and ACOs is stunning. And the consequences may be more consolidated, less available healthcare. 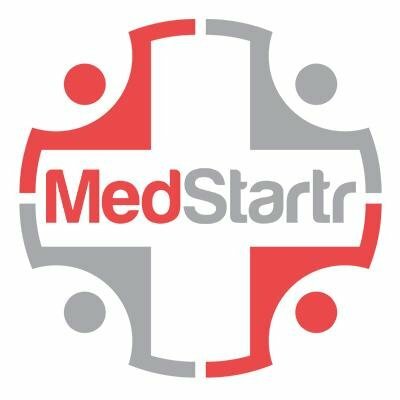 We are already seeing merger rumors in the insurer area and scaledowns/shutdowns/buyouts of community health organizations including smaller hospitals and clinics. Also iHealthBeat. DARPA to the rescue? The folks who brought you the Internet may develop a solution, but it won’t be tomorrow or even the day after. The Brandeis Program is a several stage project over 4.5 years to determine how “to enable information systems that would allow individuals, enterprises and U.S. government agencies to keep personal and/or proprietary information private.” It discards the current methodology of filtering data (de-identification) or trusting third-parties to secure. Armed With Science FedBizOpps has the broad agency announcement in addition to vendor solicitation information. In 2009, the US Congress enacted the HITECH Act, as part of a much broader recovery measure (ARRA or ‘the stimulus’), authorizing the Department of Health and Human Services (HHS) to spend up to $35 billion to expand health IT and create a network of interoperable EHRs. Key to this goal of interoperability and seamless sharing of patient information among healthcare providers was achieving stages of ‘meaningful use’ (MU) with these EHRs in practice, to achieve the oft-cited ‘Triple Aim‘ of improved population health, better individual care, delivered at lower per capita cost. Financial incentives through Medicaid and Medicare EHR programs were delivered through multiple stages of MU benchmarks for hospitals and practices in implementing EHRs, information exchange, e-prescribing, converting patient records, security, patient communication and access (PHRs). [grow_thumb image=”http://telecareaware.com/wp-content/uploads/2013/08/blue-blazes.jpg” thumb_width=”150″ /]Neil Versel in his personal blog Meaningful HIT News notes meaningful lapses in accuracy and good communications taste from two reputable companies targeted to US medical professionals. DrChrono is a mobile ambulatory EHR tweeting about ‘cashing in’ on the HITECH Act–the program that rewards practices for achieving stages of Meaningful Use with EHRs. Sermo is a physician social networking platform that has staged a contest called ‘The Pro Football Injury Challenge’ where one will go ‘head-to-head’ with other doctors in ‘making predictions about how injuries will affect pro athletes this season.’ This Editor felt in her comments below the article that this promotion’s communication crossed the line into, on the usual two-second read, a message that it is OK to ‘play for glory’ and win prizes out of players’ real pain, injury and career disaster–a misbegotten effort to gamify real-world medical situations ostensibly for learning. Yes, both have sound messages at the core, but how they were communicated…regrettable. Both DrChrono and Sermo are nominated for ‘Blue Blazes’ because, to paraphrase Neil, ‘what are their marketers thinking?’ What do you think? And this Editor would be more than open to comments from representatives of these two companies. DrChrono and Sermo, what are you thinking? [grow_thumb image=”http://telecareaware.com/wp-content/uploads/2013/07/doctor_pulling_hair.jpg” thumb_width=”150″ /]Will this doctor be able to replace his hair? Confirming EHR misery for doctors, this article in Healthcare Technology Online gives more details on the Black Book Rankings’ 2013 State of the Ambulatory EHR Market report that we presented back in February when early findings were released. Out of their 17,000 users from solo practitioners to 100+ doctor practices, 31 percent of respondents were dissatisfied enough with their EHR to consider making a change with 18% seeking to change systems within the next year. Poor usability led the reasons why. But there’s 84 percent plus queasiness about vendor viability, reasonable when there are 600+ vendors and a number have already gone out of business leaving their practices stranded. The basics aren’t enough–must-haves are support for mobile devices (80 percent), data sharing and integration (83 percent) and patient portal (58 percent). And it has to be Web-based/SaaS based (70 percent). One detail: confirmation of the anecdotal ‘we jumped too fast to get the Meaningful Use money’. #EHRbacklash, indeed. ROI in telemedicine and telehealth? Outlook unclear. ATA 2013’s final ‘industry executive session’, presented at the late hour when most attendees are daydreaming about a comfy chair and a solid drink, tackled one of the thornier underlying questions beleaguering health tech: return on investment (ROI). Providers want hard numbers, but even that definition is…indefinite. Is it data? Is it outcomes? Is it savings? Is it reduction in spending? For two systems or populations, it can be reducing 30-day same cause readmissions for one provider or improved outcomes in home care for another, and the results are not analogous nor even cause-and-effect. As Eric Wicklund from mHIMSS put it, “that’s the challenge, and it was the primary focus of this year’s ATA conference. The pilots are gone, the possibilities and proposals are old. It’s time to target the telemedicine and mHealth programs that are working and to explain why they are…” As GlobalMed’s Roger Downey less delicately put it, “It’s like pinning Jell-O to a wall”–but getting specific as to what should be done in the market helps. Not quite as blithe as the headline. ROI? To some of the industry’s top vendors, that’s just three letters.